Called by God, purpose-driven, engaged in long hours of discussing vision, future, excellence, the purpose and God’s motivation for the creation of spiders, and various pet-peeve. all fueled by (strong) coffee. this Leadership Team is proud to call Take Heart Church ‘home’. Josh had the privilege of planting Take Heart Church on February 21, 2016 and serves as the Lead Pastor. He met and married the love of his life, Bridget shortly afterwards, and together they have two girls – Hallie and Haven. Josh’s favorite season is fall (because of Clemson football! ), however considered a life as a pro-ping pong player before he found his calling in full-time ministry. 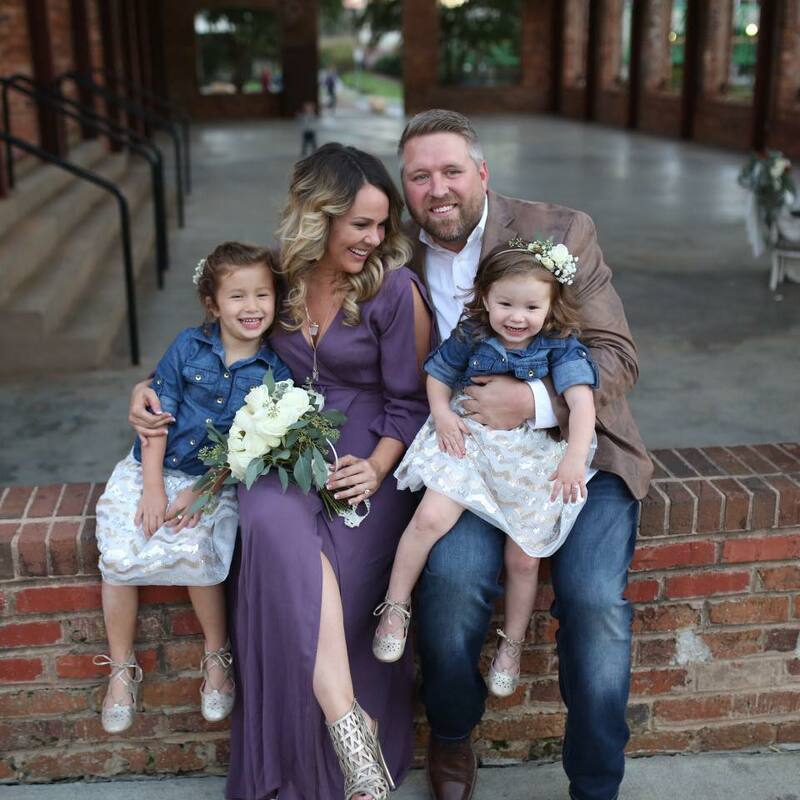 Originally from Piedmont SC, he named his former Worship Pastor, Danny Knight, as the most influential person in his life. Jordan is a Police Officer with the City of Simpsonville Police Department. He and his wife, Courtney, have one dog named Ellie, a Mountain Cur mix. Adam grew up in Travelers Rest SC, and calls his guitars his pets. “They’re always there for me when I’m in need and they don’t make messes.” In his professional life, Adam is an IT pro and a musician. Pam grew up in the Rochester NY area, and relocated to Greenville in 2015. Her favorite season is Spring. “There’s so much new life, color, and everything is beginning again.” Pamela is married to Mike Barber, THC’s Operation Pastor. They have three girls, Madeline, Chloe, and Hailey. They have two dogs – one who smiles and one who sighs with an attitude – and they have their own Instagram account. He and his wife, Melissa, have two sons, Cameron and Caelan; In his ‘day job’ David owns his art studio, called “The Sequential Samurai”, where he does everything from comic books to graphic design, and all things creative. David most closely identifies with the THC Core Vale of Vision. As a creative, he considers himself to a visionary, often pursuing the bigger picture. He’s not scared easily, but has a self-proclaimed deep/admirable respect for spiders. Melissa Cooper - Children’s Ministry Leader. She is married to Pastor David, the Children’s Pastor, and you will find them working together with Take Heart’s children each week. Melissa is motivated by encouragement and the drive to succeed, specifically done with excellence; she most closely identifies with the Community Core Value; Professionally, she is the Surgery and Imaging Scheduler for an Ear, Nose, and Throat Specialist in the Greenville area. Melissa is originally from Memphis, Tennessee. She and Pastor David have been married for 25 years, spending the majority of their marriage in full-time ministry; they have two sons, Cameron and Caelan, who are actively involved with various volunteer roles at Take Heart Church. The Cooper family have a cat, Poppins, and a miniature long haired dachshund, Angel. She spends her days at “work” doing ministry and serving her family: Matt, her husband, and their two boys, ages 10 and 3. Jennifer is from SC, and grew up in the Pendleton/Anderson area. Jennifer most identifies with the THC Core Values of Love and Community and it’s most apparent by what motivates her: family. She enjoys providing for them, supporting them, loving them and helping them grow – both spiritually and physically, in any way she can. Jennifer loves Summer (because of her strong dislike for cold weather and jackets) and Fall (because of the changing colors). He is married to Pamela, and they have three girls – Maddie, Chloe, and Hailey. Originally from Albuquerque, NM, Mike lived in NY for 17 years before transplanting to SC in 2015. His biggest fears are drowning and zombies. Mike is motivated by serving others, building things, and teaching/coaching on leadership principles and behaviors. He most closely identifies with the Take Heart Core Value of Excellence and always strives to bring your best and inspire others to do the same. In his professional life, Mike is a Leadership Coaching and Trainer, has worked in Contact Center Operations Management, and provides interior renovations. His favorite season is the fall - the temperature softens a bit, football starts up, and the chili starts to simmer! You’ll most often find him in his studio, working on video production, social media, or the Live Stream for Take Heart. He is married to Victoria, and they have three children: Leona, Gemma, and J.R. Originally from Upstate NY, James says nothing scares him. His favorite season is March Madness Basketball Season. Professionally, James thrives on creative branding solutions for churches, non-profits, and businesses. She is also known as Toree to many, and is married to ‘The’ James Garlin. They have three children: Leona, Gemma, and J.R.. Professionally, she takes care of her family full time. Toree grew up on a ranch in central Texas, just north of Austin; She says giant squid scares her, but is most intimidated by not making the best decisions for her family, marriage, and ministry. She’s motived by knowing she can and does make a difference in other’s lives. She most closely identifies with two THC Core Values: Community and Love.